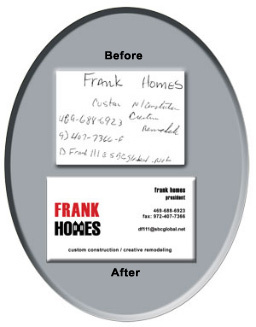 One Hour Business Cards Houston helps businesses and organizations -- on-line or in person -- create custom business cards in the Houston area that are distinctive and differentiate you from the competition. Our in-house graphic artists can create a business card for you from scratch or help polish your own ideas to perfection. 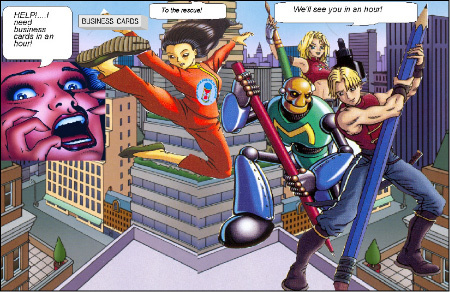 We are not an on-line template driven business card generating system that robotically cranks out fifty thousand business cards a day that all look the same. We are not the traditional printers with ink-stained smocks located in an industrial park. 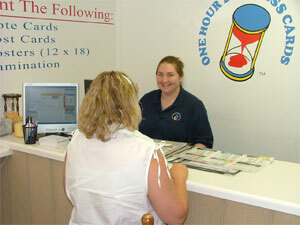 We are a retail style print shop staffed by graphic artists trained in the design and layout of custom business cards. On-line or in person, you can sit down with one of our talented graphic artists for 10 minutes or 2 hours, whatever it takes to get the custom business card design you want.. Click here to see more custom business cards we designed in Houston, TX. One Hour Business Cards opened our first Dallas location in the Spring of 2000, and opened the Business Card Houston location in 2008. In that time we have designed and printed business cards for over 60,000 unique customers. Click here for a FREE Price Quote for your custom business cards in Houston. One Hour Business Cards Houston also offers other printing products such as flyers, letterhead, envelopes, brochures, postcards, carbonless forms, invoices, note cards, labels, note pads, posters, address stamps, magnets, lamination, graphic arts services. Click here to learn more about our business identity products. We can create your Houston overnight business cards in both Spanish and English, or Spanish only. 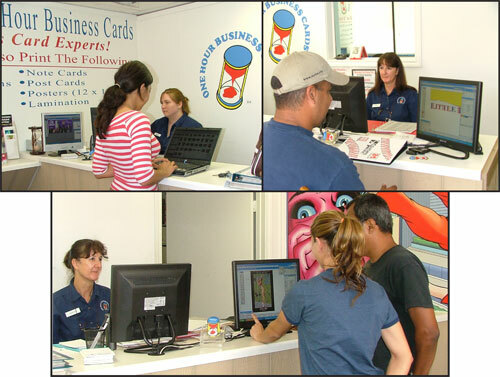 Many businesses want a bi-lingual approach, and our graphic artists can deliver bi-lingual business cards. © 2007-2018 Copyright. One Hour Business Cards, Houston, Texas. All Rights Reserved.